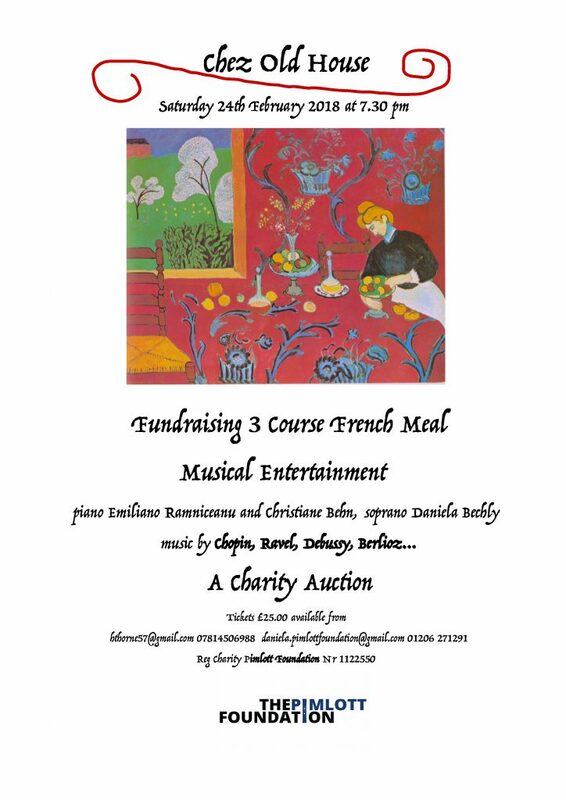 Join us for a three course French meal with music! Piano-Emiliano Ramniceanu and Christiane Behn. Soprano – Daniela Bechly. Music by Chopin, Debussy, Ravel, Berlioz. As this is a Pimlott Foundation Fundraising event, there will also be a charity auction. Tickets for this event are available for a donation of £25.00.